Have you heard that serving your food on smaller plates will make you eat less? I know I have. I even bought smaller plates for our kitchen when I first heard about that study, which was published in 2011. And did you know that men eat more when other people are watching? Women, though, behave exactly the opposite: they eat about 1/3 less when spectators are present. Perhaps guys should eat alone if they're trying to lose weight. Or how about this nifty idea: kids will eat more fruits and vegetables at school if the cafeteria labels them with cool-sounding names, like "x-ray vision carrots." Sounds like a great way to get kids to eat healthier foods. Or this: you'll eat less if you serve food on plates that are different colors from the food. If the plate is the same color, the food blends in and it looks like you've got less on your plate. And be sure to keep a bowl of fruit on your counter, because people who do that have lower BMIs. Hang on a minute. All of the tips I just described might be wrong. The studies that support these clever-sounding food hacks all come from Cornell scientist Brian Wansink, whose research has come under withering criticism over the past year. Wansink is a professor at Cornell University's College of Business, where he runs the Food and Brand Lab. Wansink has become famous for his "kitchen hacks" and healthy-eating tips, which have been featured on numerous media outlets, including the Rachel Ray show, Buzzfeed, USA Today, Mother Jones, and more. "a $22 million federally funded program that pushes healthy-eating strategies in almost 30,000 schools, is partly based on studies that contained flawed — or even missing — data." 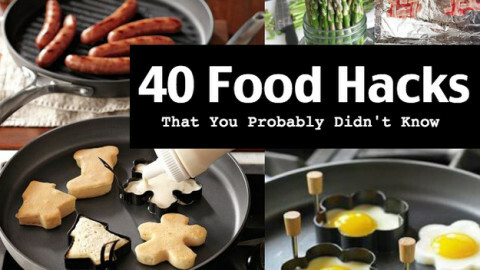 Let's look at some of the clever food hacks I described at the top of this article. That study about labeling food with attractive names like "x-ray vision carrots"? Just last week, it was retracted and replaced by JAMA Pediatrics because of multiple serious problems with the data reporting and the statistical analysis. The replacement supposedly fixes the problems. But wait a second: just a few days after that appeared, scientist Nick Brown went through it and found even more problems, including data that doesn't match what the (revised) methods describe and duplicated data. How about the studies that showed people eat more food when others are watching? One of them, which found that men ate more pizza when women were watching, came under scrutiny after Wansink himself wrote a blog post describing his methods. Basically, when the data didn't support his initial hypothesis, he told his student to go back and try another idea, and then another, and another–until something comes up positive. "Brian Wansink refuses to let failure be an option. If he has cool data, he keeps going at it until he finds something, then he publishes, publishes, publishes." Ouch. That is not a compliment. Soon after Gelman's piece, scientists Jordan Anaya, Tim van der Zee, and Nick Brown examined four of the Wansink's papers and found 150 inconsistencies, which they published in July, in a paper titled "Statistical Heartburn: An attempt to digest four pizza publications from the Cornell Food and Brand Lab." Anaya subsequently found errors in 6 more of Wansink's papers. It doesn't stop there. In a new preprint called "Statistical infarction," Anaya, van der Zee and Brown say they've now found problems with 45 papers from Wansink's lab. Their preprint gives all the details. "Until Wansink can explain exactly what happened, no one should trust anything that comes out of his lab." In response to these and other stories, Cornell University issued a statement in April about Wansink's work, saying they had investigated and concluded this was "not scientific misconduct," but that Cornell had "established a process in which Professor Wansink would engage external statistical experts" to review many of the papers that appeared to have flaws. And there's more. Retraction Watch lists 14 papers of Wansink's that were either retracted or had other notices of concern. Most scientists spend their entire careers without a single retraction. One retraction can be explained, and maybe two or even three, but 14? That's a huge credibility problem: I wouldn't trust any paper coming out of a lab with a record like that. But how about those clever-seeming food ideas I listed at the top of this article? They all sound plausible–and they might all be true. The problem is that the science supporting them is deeply flawed, so we just don't know. Finally, an important note: Brian Wansink is a Professor of Marketing (not science) in Cornell's College of Business. He is not associated with Cornell's outstanding Food Science Department, and I don't think his sloppy methods should reflect upon their work. I can only imagine what the faculty in that department think about all this.